change. 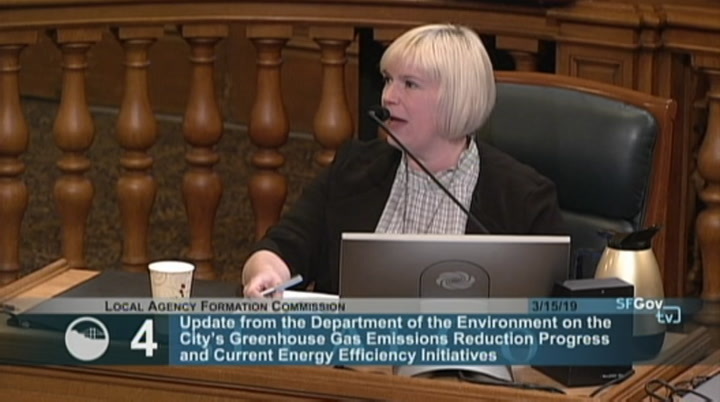 the city has bold, aggressive goals to do their part as a large emitter. we have a goal of setting our baseline of 1970 levels. it's 2019, it's a great question, how are we doing? so the great news is we're ahead of schedule. so in 2016 -- and we'll be publishing the 2017 numbers sortly -- we -- shortly -- we had actually reduced our emissions 30% below 1990 levels. 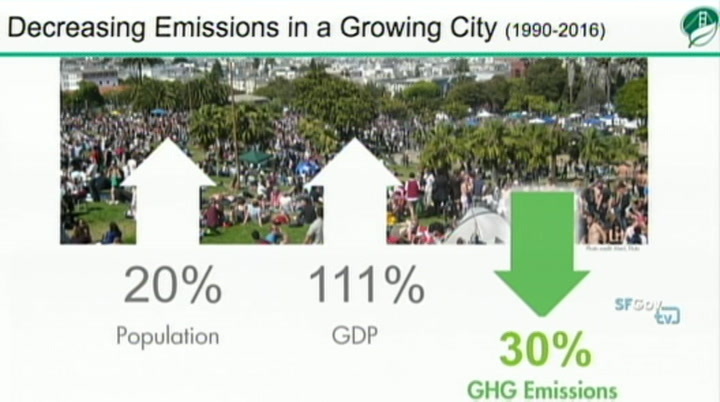 that is a classic case of decoupling that you can have environment and economy. they can go hand in hand. all right. then, the next question, i know what we're doing. everybody including pg&e were going to meet. 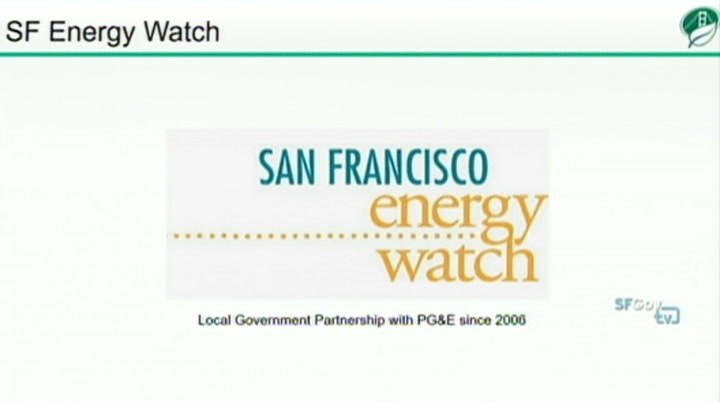 pg&e have achieved 51% renewable and 78% gas free, which is good news, except 27% is nuclear. 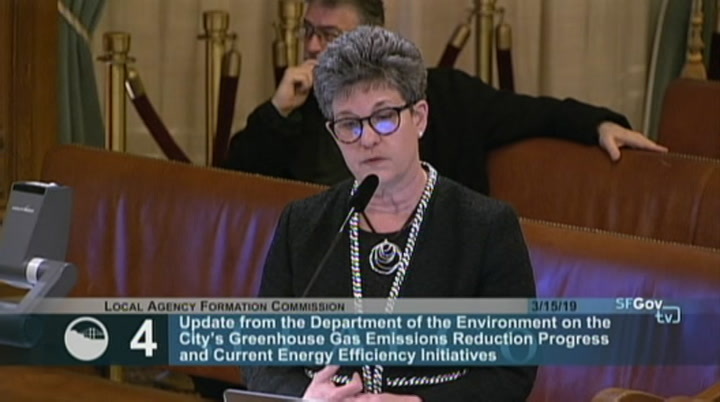 so that's going to go away, and the challenge will be for pg&e is making sure they have a mix that's greenhouse gas free and ups that renewable. 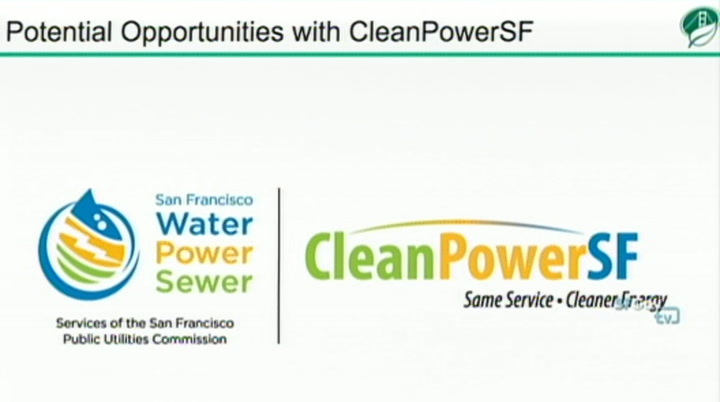 and then, we put in place cleanpowersf during that time period. 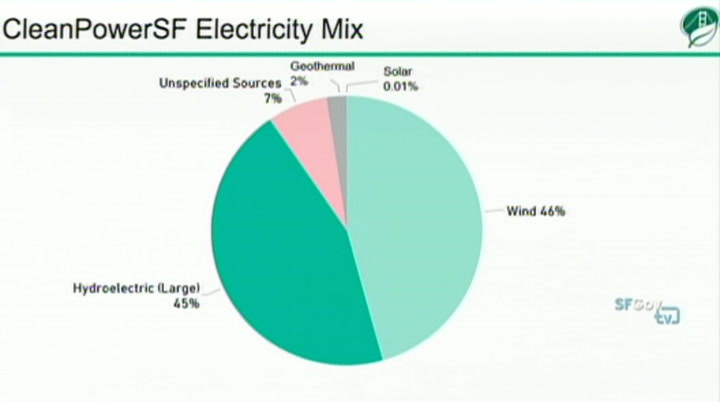 when you look at cleanpowersf's mix, it's a lot of different color that are very different than pg&e. it is almost all -- it's 91, 93% greenhouse gas free. it is wind, it is hydro, large and small, and it's a very small amount of solar. so that has to do with pricing, and i can let michael explain why the mix looks like that. 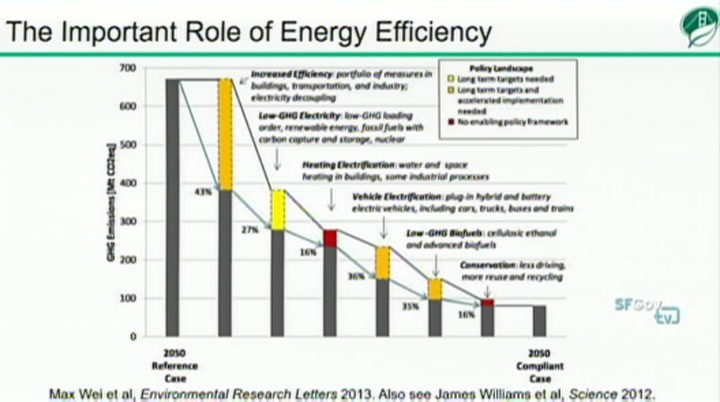 you get in terms of decreasing your emissions. the largest bar is electricity. that's not just electricity, that's also fuels in vehicles and boilers -- natural gas boilers, but it's decreasing your use of fuel or power. the color of the bar is important, too. in 2013, they already foresaw our red pie decreasing. 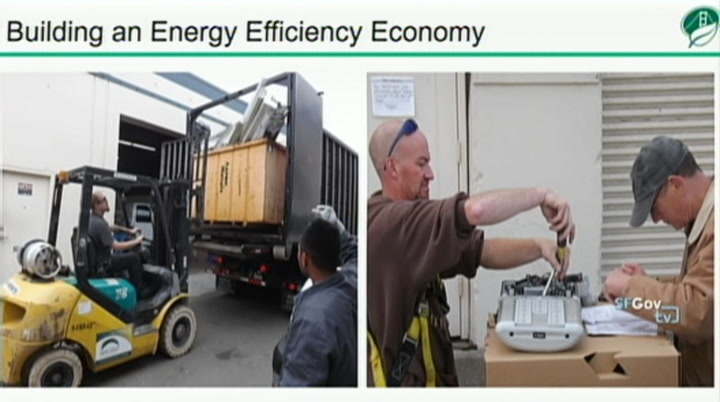 they already knew we understood how to clean our electricity supply. 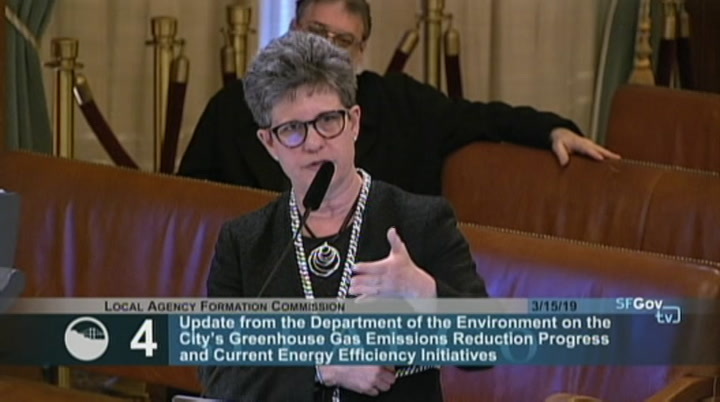 we need policies, we need goals, and we have to start accelerating, so in terms of energy efficiency, they're saying we know it's important, and we've got to step it up. tabl table. the amount of funds that are available will depend on so many different things. how many people are enrolled -- michael can talk about that. so the future in terms of additional resources and au autonomy. the future's rosy. that graph shows that we must focus on this. so in a way, to me, this is a great story because we know what we want to do and we're setup for success. we've got a beautiful little jewel, we just need to scale it. 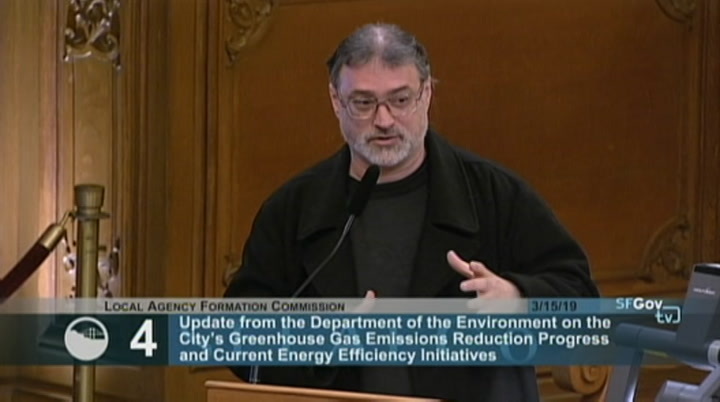 >> chair fewer: commissioner ronen. 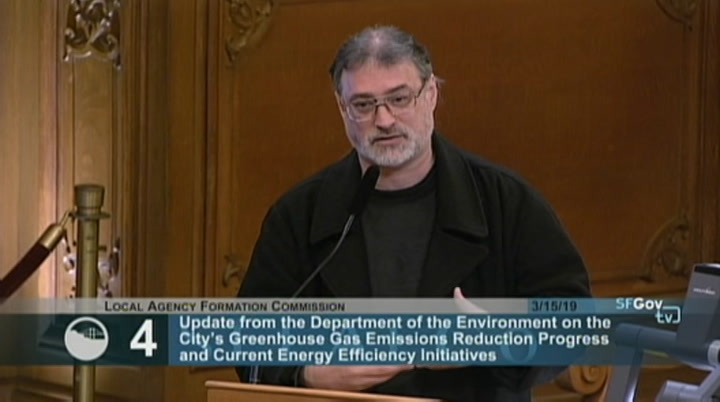 >> supervisor ronen: thank you for that presentation, director raphael. that was great. 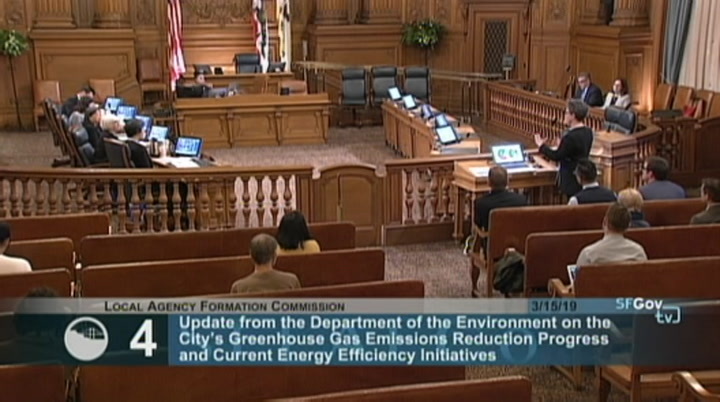 i think it was page four of your presentation, the san francisco emissions sources? >> yes. >> supervisor ronen: so the entire basic success that we've had has been in the electricity arena of lowering our g.h.g. emissions? >> no. the pie has gone down for many reasons. 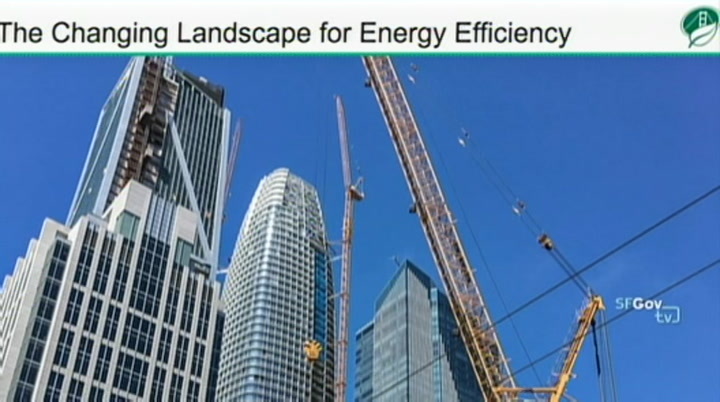 it's the electricity, it's also our green building codes so we are not using as much energy in that sector. it's incredible what we've done on the food waste. 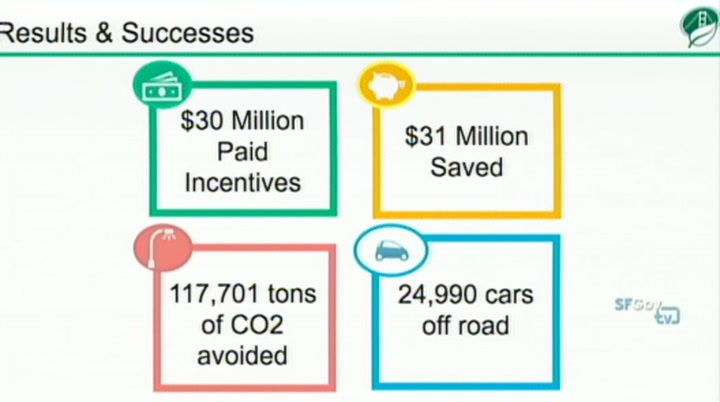 it's also our transportation fuels, car efficiency that the statewide has put in. 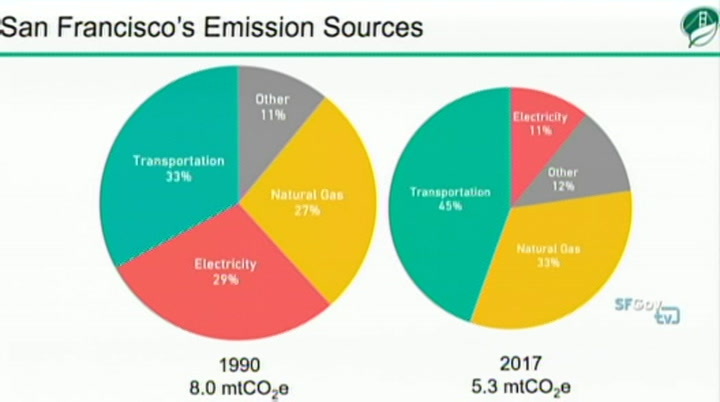 there's a bunch of different things that are contributing to that pie going down, but as that pie gets smaller, then, the proportionality shifts, and you can see -- even though the whole thing is smaller, now proportionally, what we're left with now is our fossil fuels. fund renewable energy products. so there's a separation of those, and those have not been able to blend, unfortunately. >> commissioner pollock: okay. thank you. i just want to ask one clarifying question. 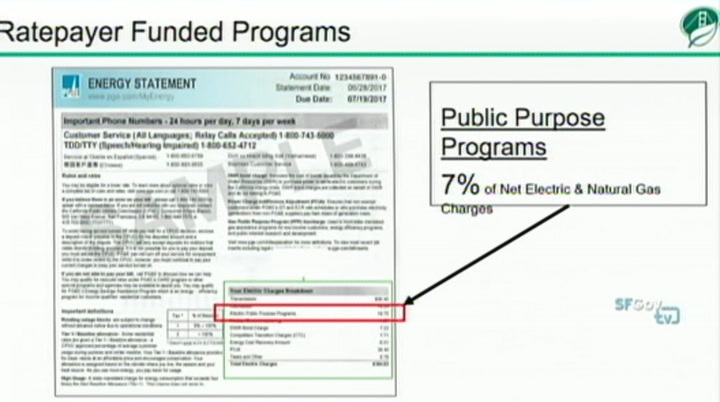 are public service funds the same as public funds -- >> yes. 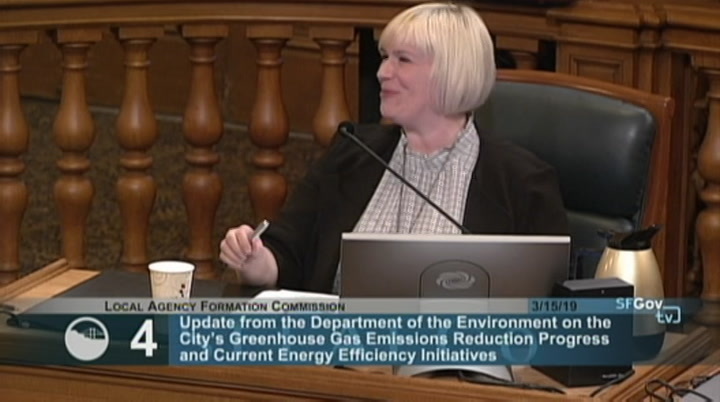 >> commissioner pollock: okay. 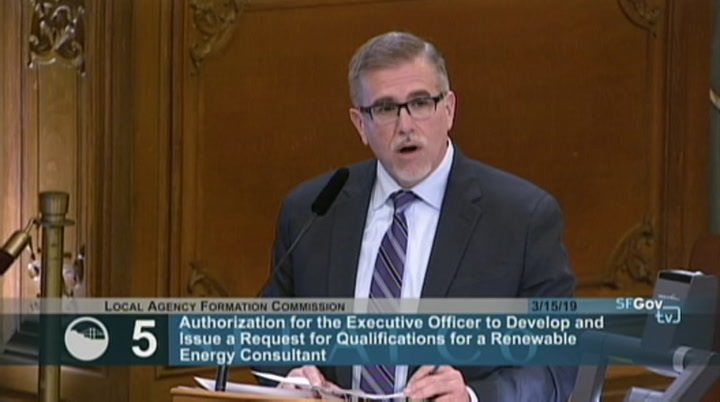 there was an effort to -- in 2016, we had a proposal that went in to ask funds for cpuc, and at the same time, marin and sonoma put in requests for funds from the cpuc. so what happened with that? >> great question. 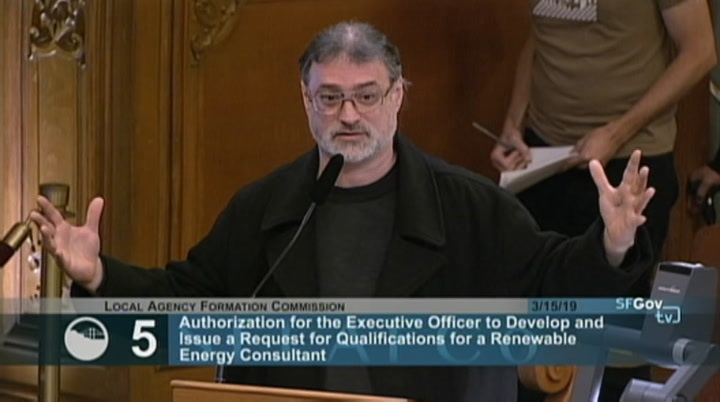 so marin and sonoma clean power -- well, you know what? i'm going to let michael. either one of them could. 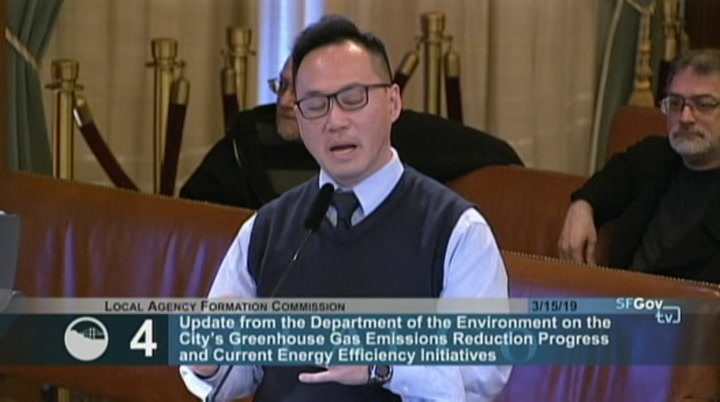 >> yeah, this could be a partnership answer here, but i'll tell you, m.c.e., they applied and collected these funds which are collected on rate payers' bills, the public purpose. most recently from a briefing from the department of the environment, that they had submitted an updated business plan. i think it sat with the california p.u.c. for about a year maybe? a year before they took it up and really looked at it seriously, but they did end up approving at least some component of that basis man. so m.c.e. has the longest track record when it comes to managing these funds and scope? 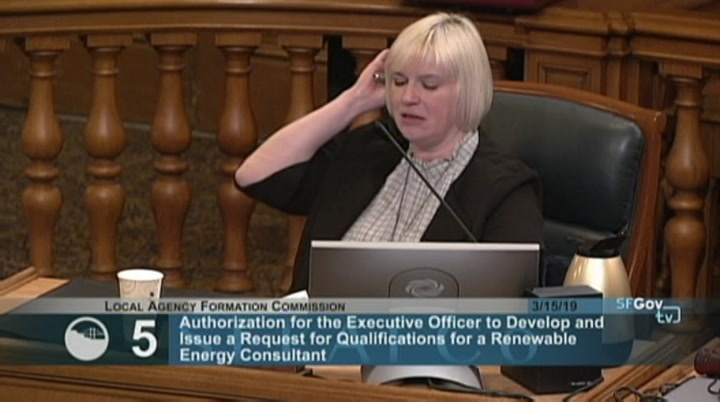 sonoma clean power does not manage any of these funds. programs, but i believe almost all of those are grant funded or rate payer funded through the generation service that they provide. >> commissioner pollock: so just one question. 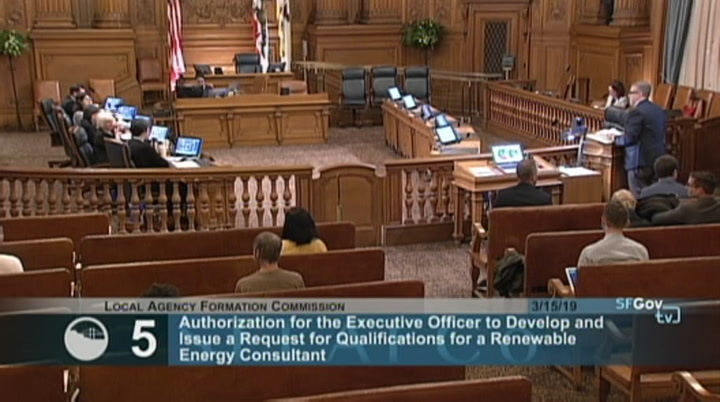 so then, when there was a request to create an independent energy efficiency program, was that approved by the cpuc? o >> i think what the question is there was back in 2015, an idea that we would create -- that the local governments would create their own statewide program and submit a business plan for it? 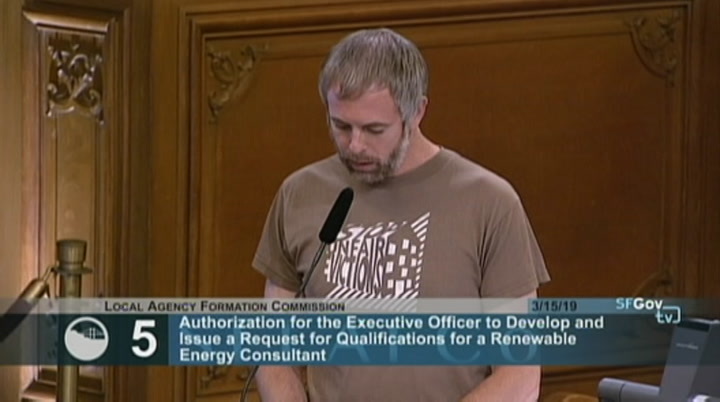 that got rejected by the cpuc. 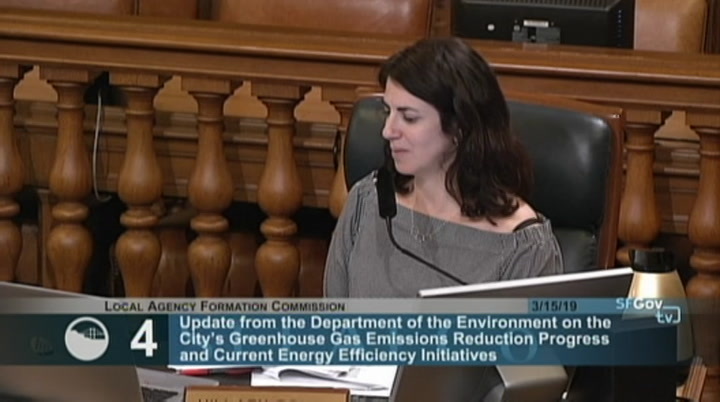 >> commissioner pollock: yeah. 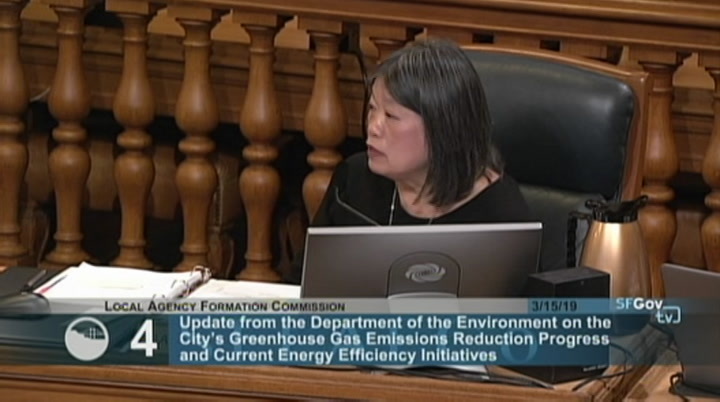 do you know if there was any progress on using prop c funds that was the housing trust funds on energy efficiency? >> i am not aware. i have no information on that. 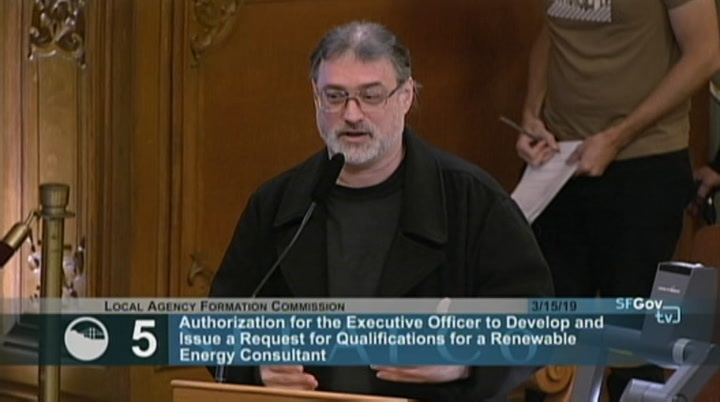 they would like to present that report either to our commission, to you, to the board of supervisors. we're working with them to figure out just how to do it. 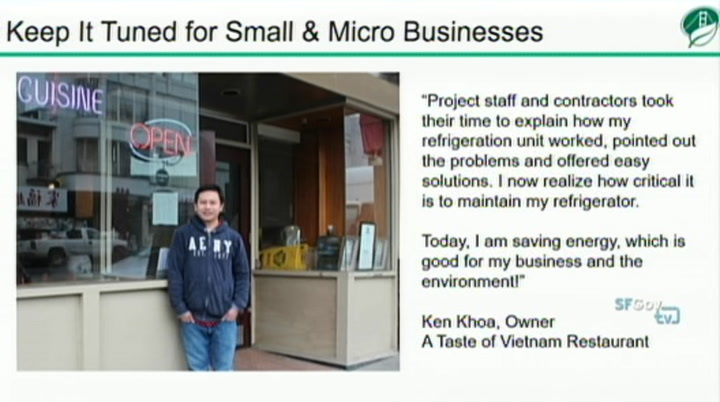 their recommendations are -- they're interesting. 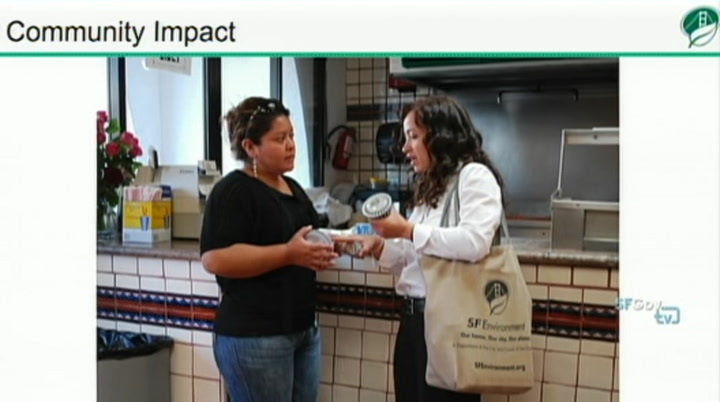 they're very much about ramping up and scaling and fast, and a fo fork -- focus on low-income and disadvantaged communities. there isn't anything in that report that wouldn't be reflected in my story in our focus. 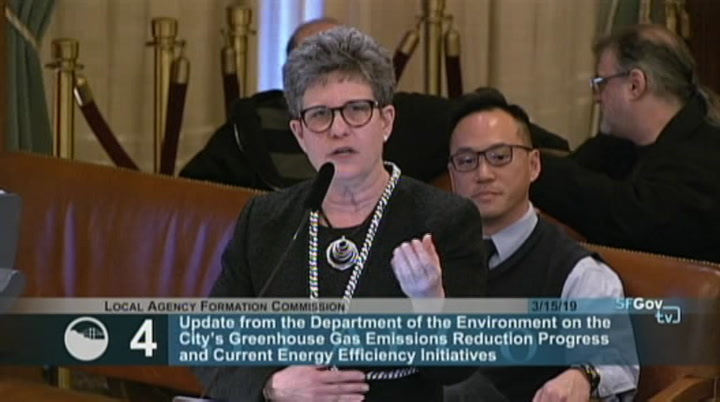 >> commissioner pollock: i think it's so important to highlight the findings from that task force just because of the inclusion of community groups like poder, and i think it represents rate payers in a different way and builds in equity, and that's something i feel like we want to have baked into every program. >> and i hope that my presentation showed you how much we take that seriously? 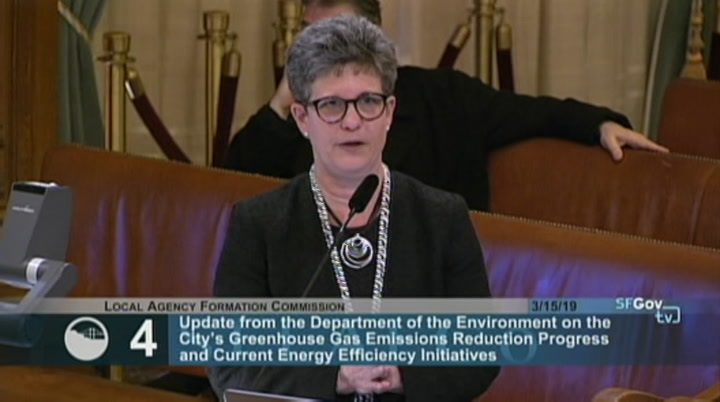 lancaster is another county that applied through the cpuc. s how long they sit on it, that's hard to tell. 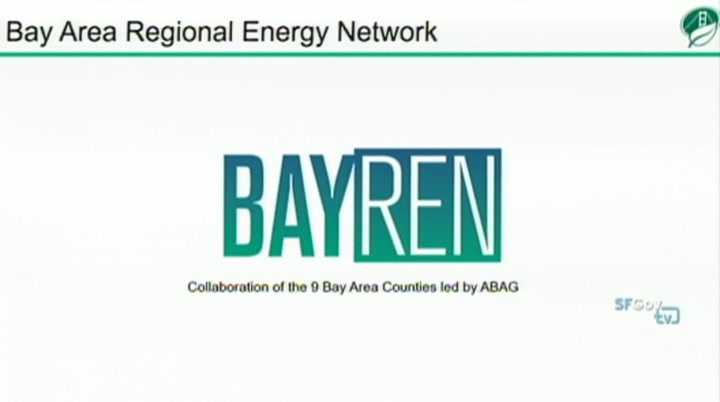 so we have done our own business plan through the bayren program so we have some experience how to do it. we'll be working closely with the sfpuc to work with the consultants that they bring in because it needs to be done through sfpuc. they are the ones, not us, but we are there to serve at subject matter experts and hopefully implementers at the end? so my conversations with barbara hale, michael hyams make me incredibly excited that this is not going to be on the back burner of our plate? 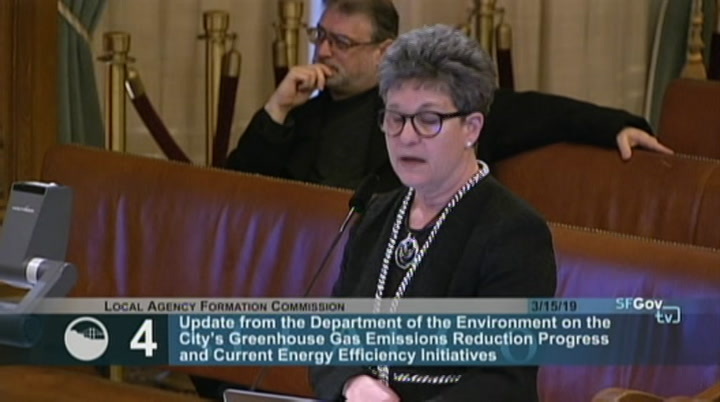 >> commissioner pollock: i just ask that we be apprised of the timeline and how that changes. always on power grade for the city. >> chair fewer: thank you very much. next speaker, please. 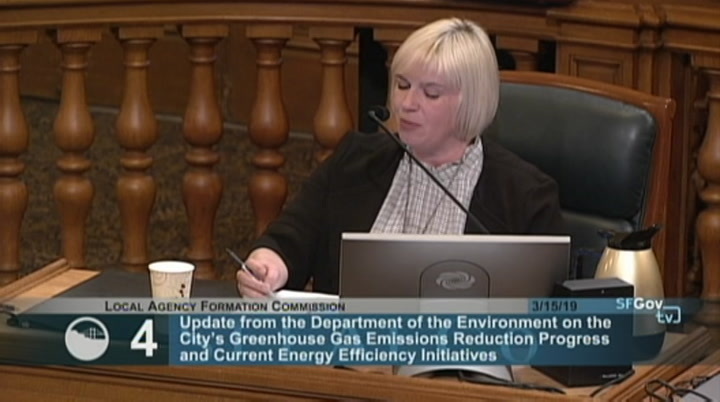 >> thanks, chair fewer and commissioners. jed holtson. 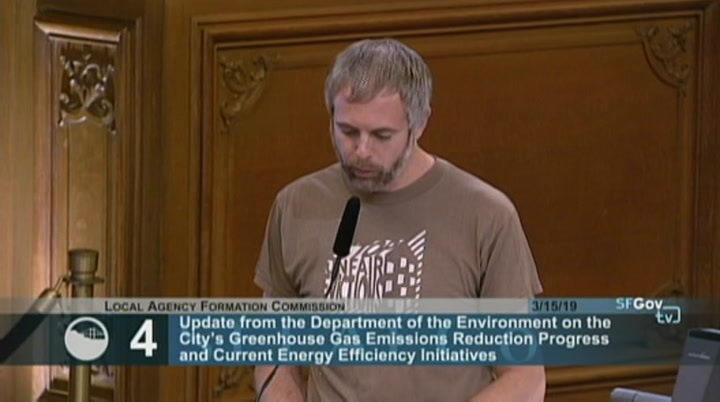 senior analyst for 350 bay area. 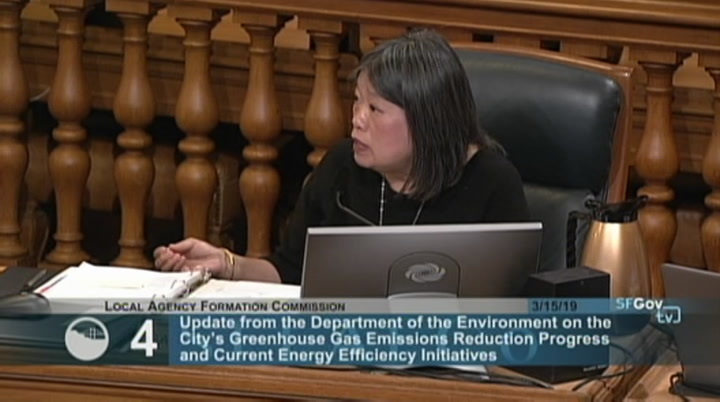 i think we do a lot of work at the bay area quality management district, first of all, thank you to the department and debbie for her presentation and these data. 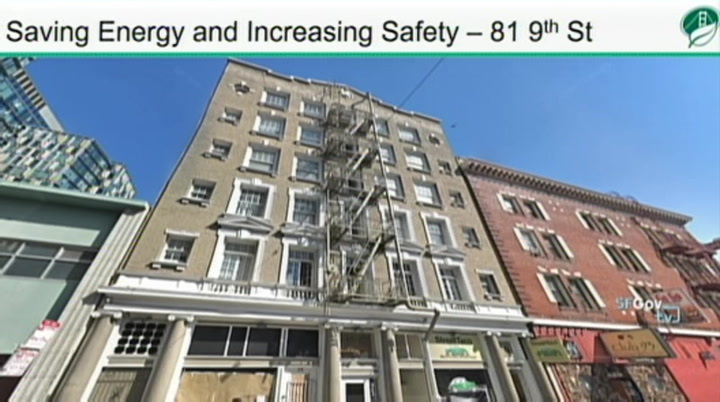 getting actual gas out of existing buildings is really kind of the building piece that no one knows how we're going to get at. 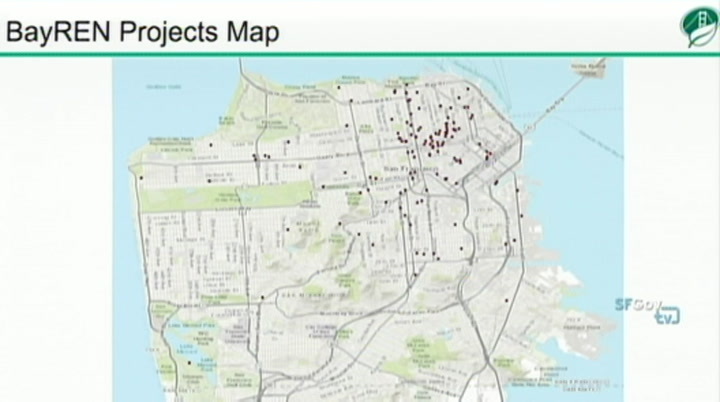 certainly compared to the rest area, san francisco has a very hold housing stock. i've lived here for 20 years and i don't think i've lived in a house newer than 1910.
basicy put the marker down by x year, we're going to need to be total electric? that is something we can do at the local level while we are getting our ducks in a row, and i would suggest that we pursue that. >> chair fewer: thank you very much. any other public speakers? seeing none, public comment is now closed. thank you very much, director raphael for this. i have one question for you, and this is just something that just triggered my thought was that are we by any means promoting the discontinuation of water heaters, those really big gas ones that everyone installs in their homes or are we going -- i have one of these water heaters. we had one of those things that was heating water continuously. 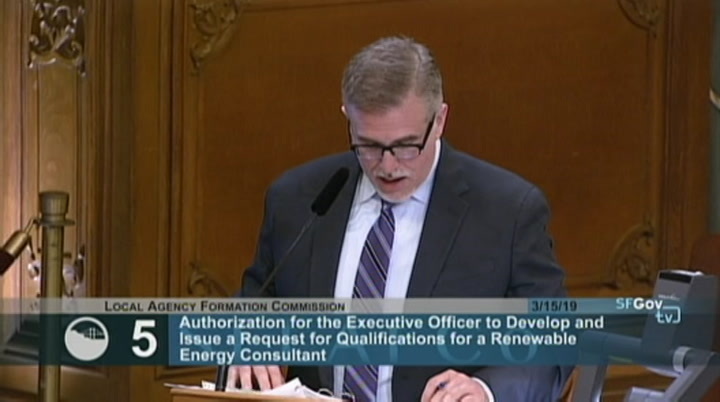 potentially buy energy from a hetch hetchy project that is built out of renewables -- out of hetch hetchy and clean po r cleanpowersf. and i think if we have the scope so narrow, maybe we're missing that has to do with the operation which is included in the -- in the m.o.u. language but could be missed by just having it as a cleanpowersf consulting services. 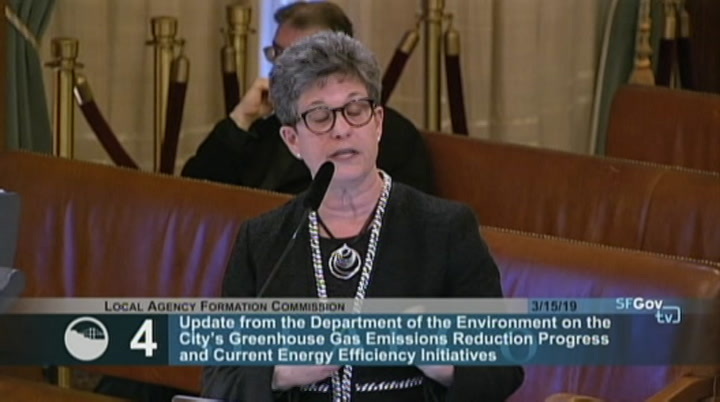 >> thank you, commissioner pollock, and i'll be happy to work with you on the r.f.q. and the language to make sure it's comprehensive. 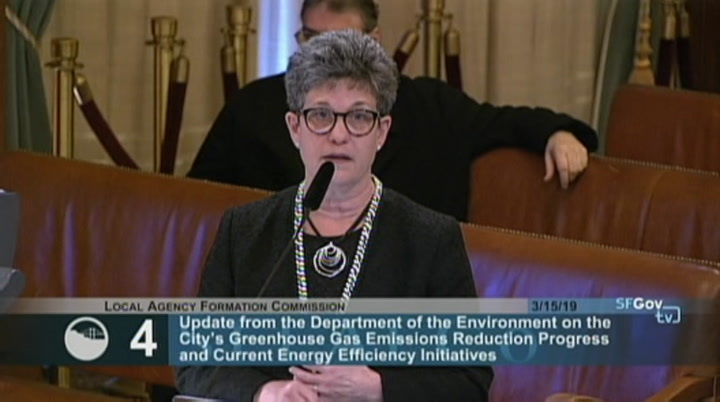 >> commissioner pollock: is there a reason that we're doing an r.f.q. instead of an r.f.p.? >> i think this gives us the option of potentially having a few experts if we want them, so we would qualify a firm or person to do work and then hand them a specific project. could help in the way that you update commissioners on just the progress of the program so we aren't so reliant on the p.u.c. to give us incremental updates. >> for sure. thank you. 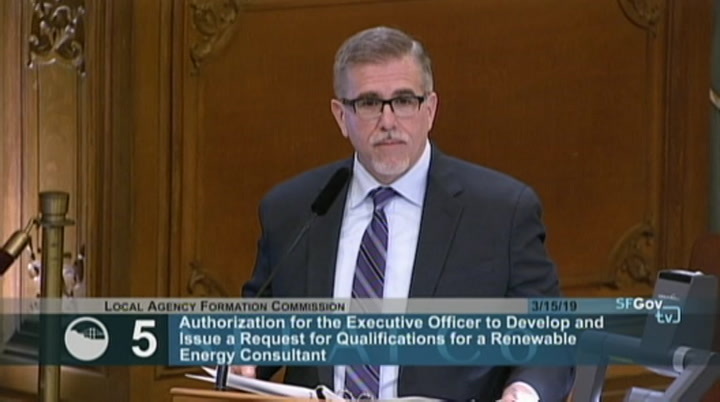 >> commissioner pollock: if no one else has comments, i would like to move that the commission adopt and authorize the r.f.q. 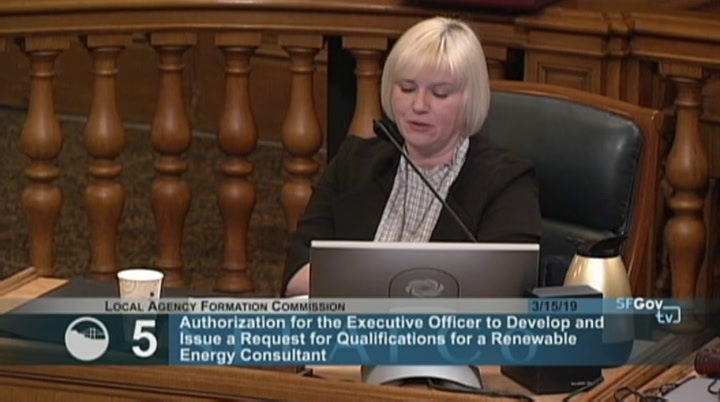 for executive officer to develop -- or to issue the request for qualifications for a renewable energy expert. 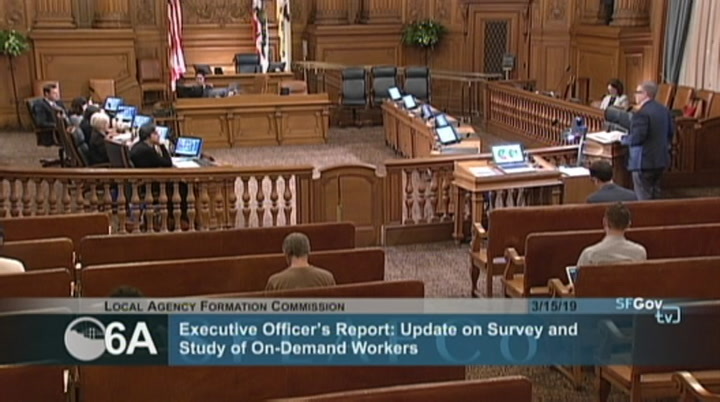 >> chair fewer: thank you, commissioner. before we take a vote on that and make a motion, i think we should open it up for public comment. 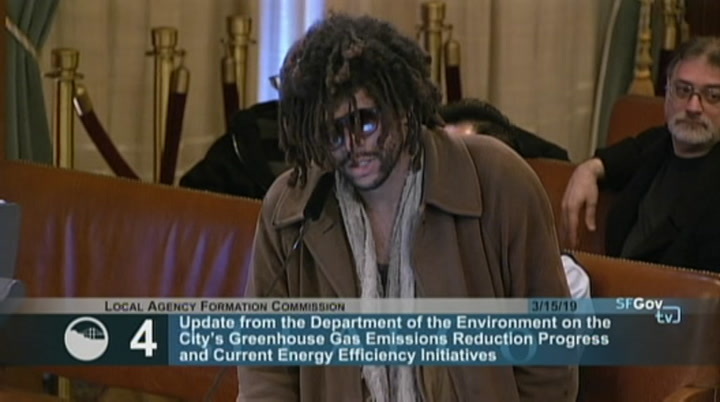 >> commissioner pollock: okay, my apologies. >> chair fewer: is there any member of the public that would like to comment on these items? >> one more time, eric brooks. so i just want to stand in strong support of this motion. 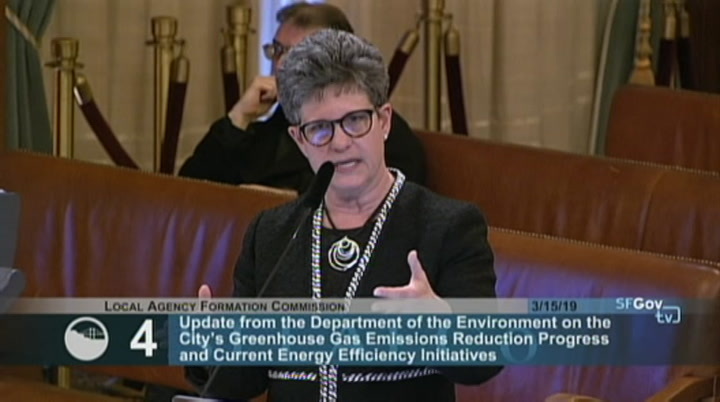 it's crucial that we do this first contracting process to get the ball rolling on a citywide and county wide local build out for renewable energy. 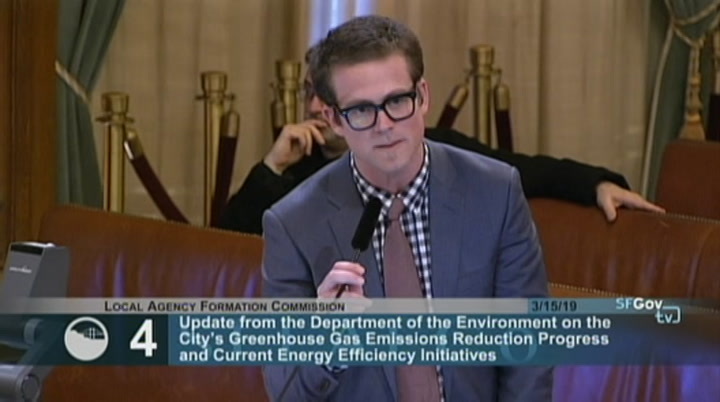 so -- and i would also support expanding the scope because that's crucial. if we add public power. that totally changes the game and we've got to be able to have consultants to tell us what to do on that. 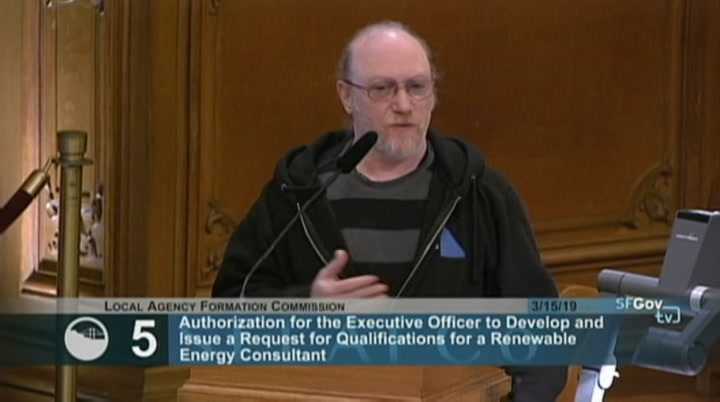 just as a side note, if we adopt public power, we've got to make sure we're mandating these things. 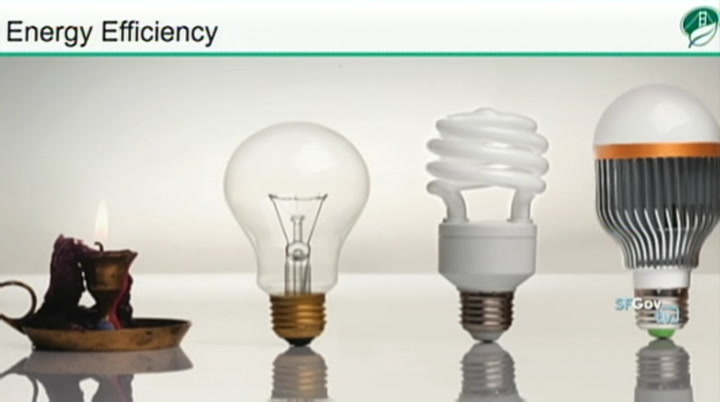 this is what we're going to do on clean energy under the public power system. 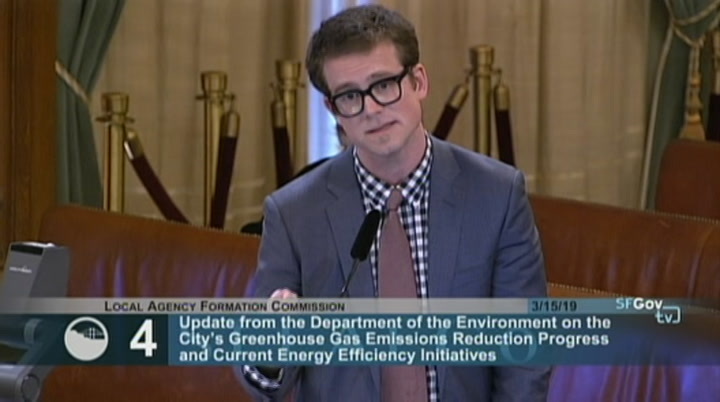 i would just like to reiterate what i and many others have said over and over at this podium for last decade. part of the advising and feedback to the sfpuc is be kind of a gap analysis of where we want to get to and what still needs to be done by on folks. thanks so much. >> chair fewer: thank you very much. >> good afternoon, madam chair. 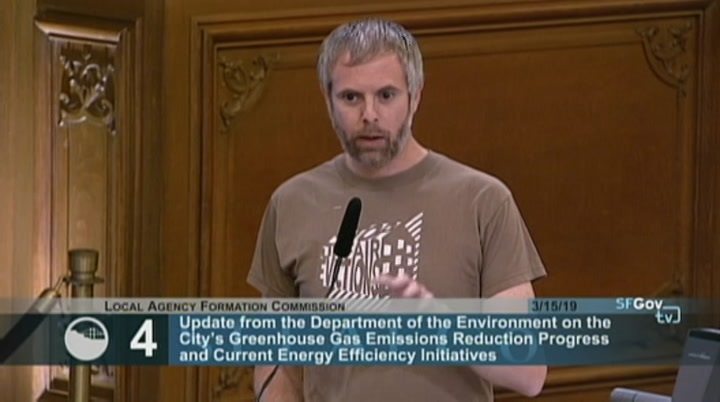 my name is bruce wolf from the haight-ashbury council. 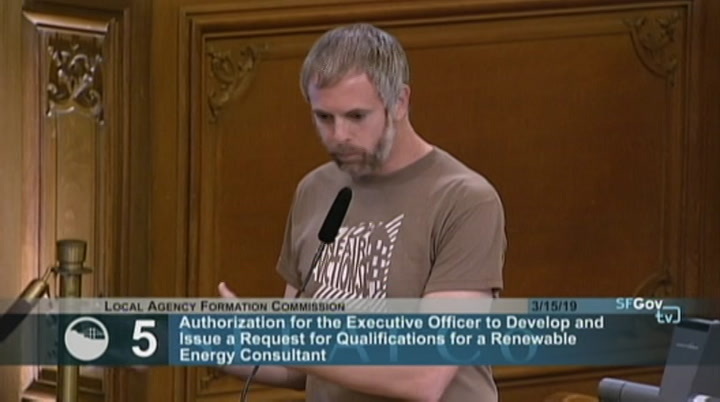 we're a members of san francisco advocates and californiians for energy choice. i agree with all the previous commenters, my colleagues, and just want to say it's an interesting and smart idea to do the r.f.q. that way, i agree, if you have -- can develop multiple projects and you have them all at the same time or close together so that we can achieve the goals faster. so i urge your aye vote.